The Lista Plain Red Shaggy Rug is a 100% Heatset Polypropylene, a luxurious 5cm Shaggy Pile rug perf.. This Lista Red and Black Shaggy rug is a 5cm machine made shaggy pile which will add a pop of c.. The Mahesh is a heat-set Polypropylene rug with a 3cm deep shaggy pile.The Beige rug has brown and I.. 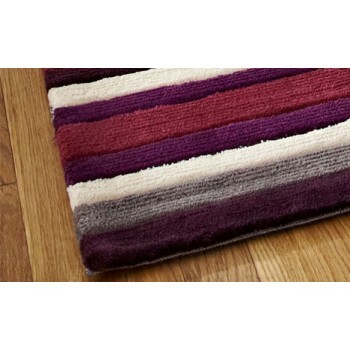 The Mahesh is a heat-set Polypropylene rug with a 3cm deep shaggy pile. The Beige rug has brown and ..
Mond Stripe rug features a striking striped pattern in hues of brown to add glamour and trend to you..
Mond Stripe rug red features a striking striped pattern in hues of red and neutrals to add glamour a..
Royal Madic cream and grey rug is a thick pile shaggy rug. The striking grey diamond grid pattern ov..
Royal Madic teal and champagne rug is a thick pile shaggy rug. The striking champagne diamond grid p..
Sabby is a Super Soft High Density 100% Polyester Pile shaggy rug. It is designed to give your space..